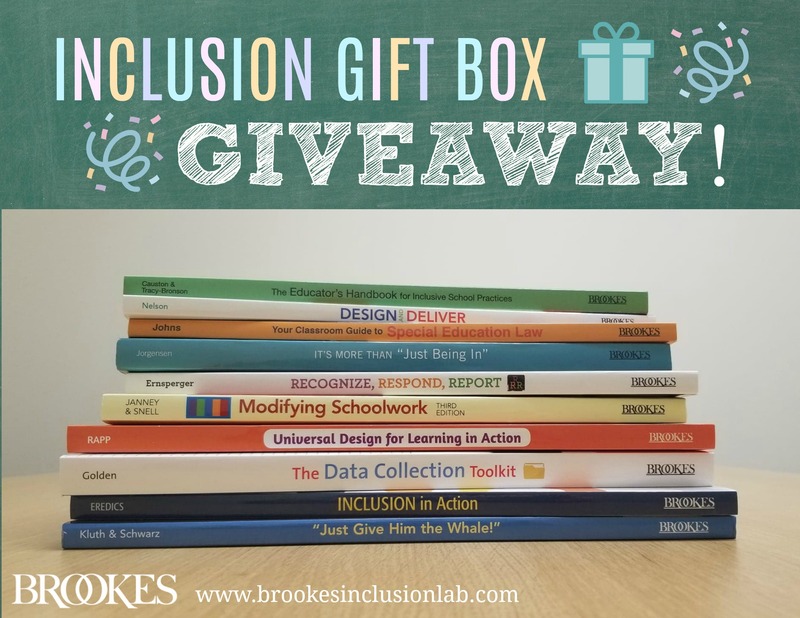 Enter for your chance to win an INCLUSION GIFT BOX! If you’re a regular Inclusion Lab reader, you probably know that that this blog is brought to you by Brookes Publishing. We’re an independent, Baltimore-based publisher, and for decades we’ve brought our readers some of the most practical, useful resources on making inclusive education work, ensuring healthy development in early childhood, and improving communication for all people. Brookes has a landmark birthday in 2018–yep, we’re turning the big 4-0!–so we’re celebrating with a giveaway in honor of our readers. This week, you can enter for your chance to win a gift box of 10 amazing books by the top experts we’ve partnered with over the years. 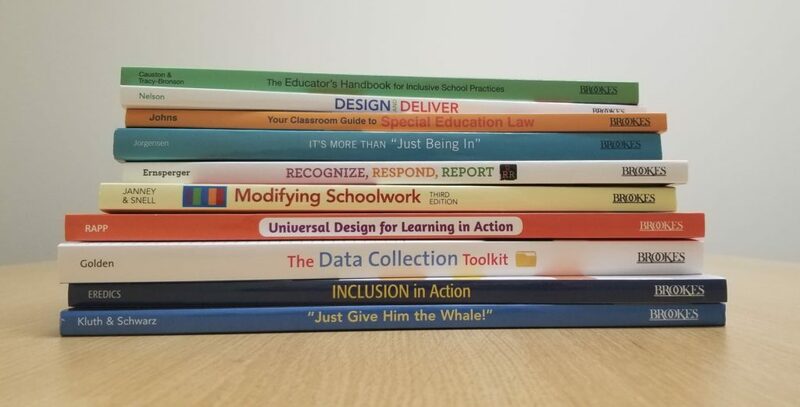 These books are chock-full of practical advice on topics like embracing UDL, modifying lessons and schoolwork, reducing bullying and harassment, and incorporating student fascinations into your curriculum. By Loui Lord Nelson, Ph.D.
By Julie Causton, Ph.D., & Chelsea P. Tracy-Bronson, M.A. By Cheryl M. Jorgensen, Ph.D.
Just Give Him the Whale! By Paula Kluth, Ph.D., & Patrick Schwarz, Ph.D.
By Rachel Janney, Ph.D., & Martha E. Snell, Ph.D.
By Beverley H. Johns, M.S. By Whitney H. Rapp, Ph.D. Entering is super-easy. Just comment on this post with “Happy Birthday” and you’ll automatically be entered in the contest. We’ll pick a winner at random and announce it on the blog next week. U.S. entries only, please. Thanks, and good luck to all who enter! Thanks for all you do for inclusion! Happy Birthday! These would be so beneficial for the teachers and staff of my childâ€™s school. Happy 40th Birthday Brookes Publishing!